James E. Root is the Founder and Principal Attorney of Root Law Group and a leading Southern California practitioner of immigration law, criminal law and transactional law. An immigrant to the U.S. himself (as a refugee from Ukraine), he not only understands the special needs of immigrants, non-immigrants, and their U.S. employers and families, but has dedicated his long and distinguished legal career to fighting for and protecting their rights, proactively advocating for immigration reform, and providing pro bono legal services to the indigent and the elderly. Mr. Root graduated in 1988 with a Bachelor of Arts in Marketing from Northern Illinois University before earning his Juris Doctor degree from Whittier Law School. A member of the California Bar Association (CBA), the American Bar Association (ABA), the Los Angeles County Bar Association (LACBA), and the American Immigration Lawyers Association (AILA), he is admitted to practice before the Supreme Court of California, the United States District Court for the Central District of California, and the United States Court of Appeals (for the Ninth Circuit and the Eleventh Circuit). In immigration-related matters, Mr. Root has represented clients in front of Immigration Court, before the Board of Immigration Appeals (BIA), and in Federal District Court, as well as at Department of Homeland Security (DHS) offices throughout the United States — including the U.S. Citizenship and Immigration Services (USCIS), U.S. Immigration and Customs Enforcement (ICE), and U.S. Customs and Border Protection (CBP) — and at Department of State (DOS) U.S. consulates abroad. He has also published articles (which have been translated into Spanish, Russian, Polish, and Hungarian) in such periodicals and newspapers as La Opinión, Pakistan Link, Kurier, American/Hungarian Journal, 7 Days, Anons, India Journal, and India Currents. A recipient of the Wiley W. Manuel Award for his pro bono work on behalf of the indigent and elderly clients at Bet Tzedek Legal Services, a nonprofit organization, Mr. Root has provided other pro bono or heavily-discounted legal services via referrals from the Legal Orientation and Pro Bono Program of the Executive Office of Immigration Review (EOIR), under the auspices of the National Association of Latino Elected and Appointed Officials (NALEO), and through his own initiative at Root Law Group. Mr. Root is a regular participant and attendee of meetings, seminars and conferences hosted by the U.S. Citizenship and Immigration Services (USCIS), the U.S. Department of State (DOS), the U.S. Department of Labor (DOL), and California’s Employment Development Department (EDD). His legal expertise has led to invitations to address the California Lawyers for the Arts (CLA), the Professionals in Human Resources Association (PIHRA), and PIHRA’s local Districts. 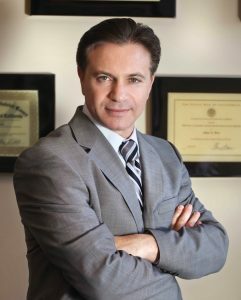 While his legal practice encompasses all aspects of employment-based and family-based immigration, Mr. Root also represents his clients in matters related to criminal law (i.e., felonies and misdemeanors, including DUIs); transactional business law (i.e., entity formation, partnership agreements, and business plans); family law (i.e., uncontested divorces, pre- and post-nuptial agreements); bankruptcy law (i.e., debt relief and proceedings under Chapters 7 and 13); landlord/tenant law (i.e., eviction matters); tort law (i.e., personal injury claims); and labor law (i.e., business employment disputes). In such matters, he has appeared in civil and criminal courts in Los Angeles County, Orange County, and San Bernardino County, as well as in and the United States Bankruptcy Court. In addition, Mr. Root has handled numerous administrative hearings in front of the Department of Motor Vehicles (DMV), the Social Security Administration (SSA), and various civil alternative dispute resolution (ADR) bodies. Mr. Root currently lives in Encino with his wife and two children. Aside from his duties at Root Law Group, he enjoys working out, biking, hiking, reading, theatre, and — most of all — spending time with friends and family.